To grow the healthiest vegetables and fruit, and to have a garden that is productive and disease-free, it is important to build fertility over time. 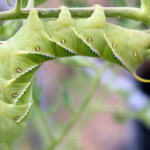 Also, in the mid-summer, I often find that my garden needs an extra boost of fertility to maximize production and health. 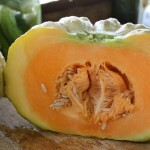 Over the years, I’ve experimented with many ways to add fertility to my garden, and here are a few of my favorites. While you would not want to drink these teas, liquid fertilizers for your garden, often called “teas,” are a great way to add fertility to your garden. 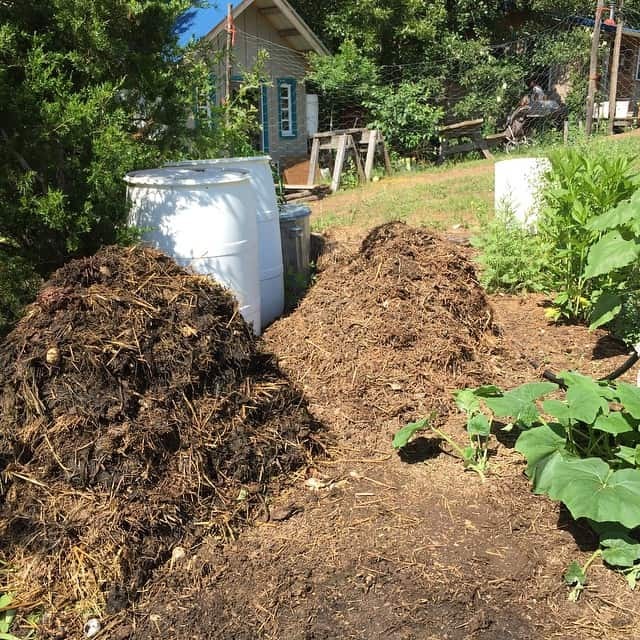 The basic gist is to add water to some well-composted manure, some compost, or some comfrey leaves and let the mixture “steep” for a few days to several weeks for comfrey. When strained, the liquid can be applied as a foliar spray, used to water in transplants (comfrey tea is especially good for this), or to add fertility to your garden to increase fruiting and prevent disease. Here are more detailed ingredients on how to make Compost Tea. Fill a 5 gallon bucket about 1/3 full with some well broken down compost. Top with water. Let the mixture steep for 3-5 days, stirring each day with a stick. Strain the mixture through an old t-shirt, cheesecloth, or burlap into another bucket. To use, dilute the Tea with water (about a 10:1 ratio) and use as a fertilizer, foliar spray, or as food for your container garden. * Be forewarned that Comfrey Tea has a particularly potent smell and you may want to let it steep under a lid. 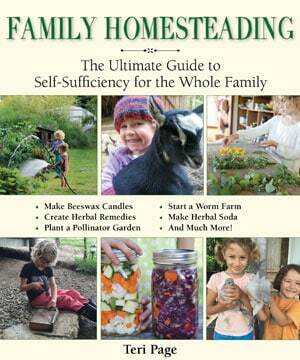 Cover crops are wonderful, organic ways to add fertility to your garden. Cover crops add nutrients, prevent soil erosion, and reduce weeds. 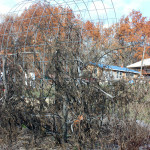 However, they are not “quick fixes,” but rather should be a part of your long-term garden planning. In the above photo, you can see some turned in winter rye. The rye was planted as a cover crop in the late fall, allowed to grow through the winter and spring, and then chopped up and integrated into the soil with a shovel. Clover, buckwheat, and hairy vetch are other good choices for garden cover crops. Each has different growing requirements – cool season, warm season – so be sure to research the best options for your zone. If soil testing reveals deficiencies in particular soil nutrients, you might consider using organic amendments to restore balance to your soil. After all, healthy soil leads to healthy plants. Soil amendments include products like bone meal, blood meal, alfalfa meal, lime, fish meal, rock phosphate, and kelp meal. You can purchase them individually, or in blends. Soil amendments can restore soil health quickly, but they are also very expensive to purchase. My long-term garden goals are to reduce inputs and restore soil health over time with lots of compost and cover crops, but when you need immediate soil support, organic amendments are a great alternative. 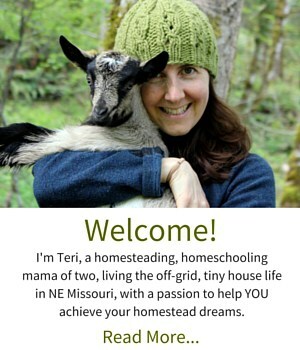 When I first learned to garden, I worked with a gardener who was amazing at building compost piles. I learned how to build a towering 6 ft + pile that was square and would not topple over! And I learned how to balance carbon and nitrogen in the compost so it breaks down quickly. The simple version of Composting 101 is to start with a blend of “green” and “brown” materials. Grass clippings, spent garden plants, manure, and food scraps are great green materials, while straw, dead leaves, or spoiled hay all are good brown materials. Layer the green and brown materials, adding water as you go. To make a nice “hot” pile, it’s important to make a big pile, so I like to build mine about 4′ x 5′ x 6′ (the pile will quickly begin to lose height as it decomposes). Not everyone turns their compost pile, but I find that it helps the compost decompose more rapidly to flip it over once. When the compost resembles soil, and you can no longer recognize the ingredients, it is ready for use. 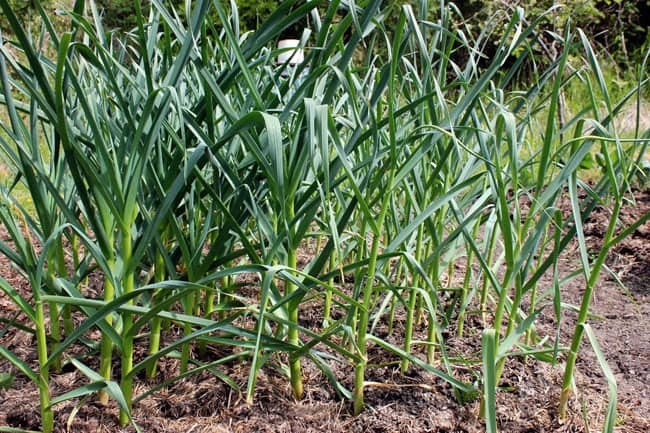 Mulch is an all-purpose term to describe organic materials that are placed upon a garden bed to build tilth, hold in moisture, and add fertility to your garden. I like to use mulch in two ways, at two different times of year. In the fall, I cover beds with mulch to prevent soil from leaching out nutrients. I like to add a layer of manure, followed by straw, or even better, a heap of cow barn bedding (which is essentially manure, straw, and hay). I’ve also used fall leaves as a mulch. In the early spring, I rake any remaining leaves into the paths, which helps keep my paths weed-free. In the springtime, grass clippings can be incorporated into the soil along with a nitrogen rich fertilizer like manure. Later in the season, use grass clippings as a side-dressing around vegetable plants, or layer it 1/4″ thick all over the garden. 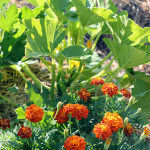 I will also use straw mulch in the spring and summer to prevent moisture loss and discourage weed growth. 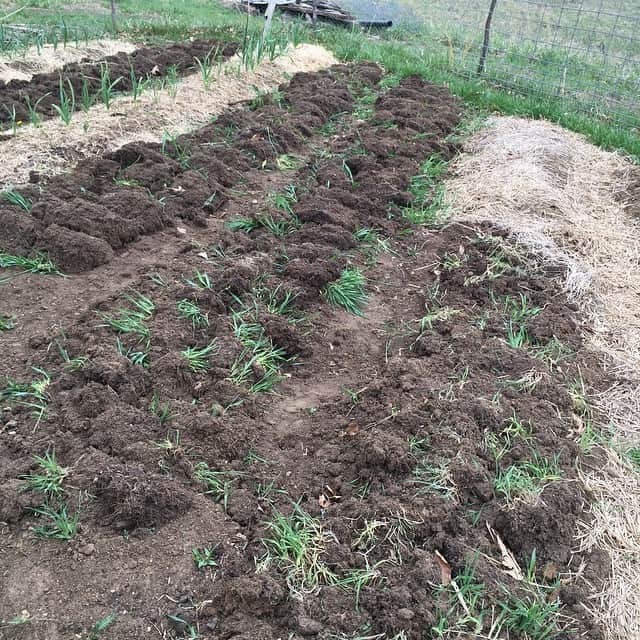 Sometimes I will add composted bedding to the garden as a mulch, which not only helps with weeds and moisture loss, but also acts as a slow-release fertilizer. 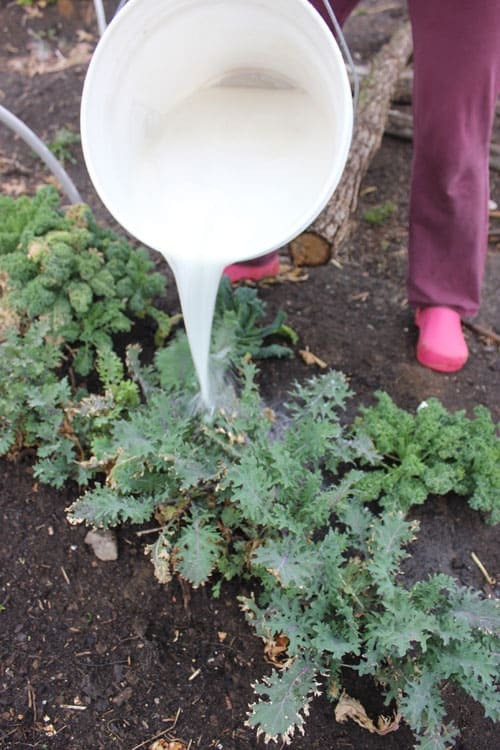 This technique works especially well on garlic beds and on brassica beds. I’ll spare you the photos of how to use urine in the garden! Since we have a composting toilet on our homestead, it’s best that we do not pee in our poop bucket. Instead, we either walk outdoors and fertilize the trees in the orchard, or we collect pee in a bucket and add it undiluted to our compost, and occasionally, diluted with water to our blackberry brambles. The urine, which is high in nitrogen, helps break down the garden compost, and enhances the nutrient value of the compost. After making cheese, don’t toss the whey! Whey contains milk solid and nutrients that make it a great fertilizer for your fruits and vegetables. Because whey is slightly acidic, it is especially good for acid-loving plants like blueberries, rhubarb, and some vegetables. To use whey as a fertilizer, you will want to dilute it with water first. I have seen many recommendations on water to whey ratios, ranging from 1:1 to 2 cups whey to 2 gallons of water. When I use whey, I generally go with a 1:2 ratio – one part whey, two parts water. Thank you for your post, it was brilliant! I especially love your explanation of simple composting (section 4). A great way to begin composting! Love the tip about whey, I didn’t know that was common knowledge…have been using it for years! Thanks for the article, its great! Great tips! 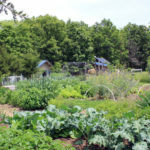 We recently purchased land to build a home on and are in the stages of planning where the garden will go and how to get it ready for planting. I’ll be trying some of your suggestions! We recently got our first baby chicks and will be working with the deep litter method to compost as well. Compost, mulch and Bokashi tea from the Bokashi composter are my go-to ways of adding fertility to my garden. The whey was pretty cool I haven’t heard of that before, but I knew a gardener who used spoiled milk and honey on his garden! Thanks for sharing this!